How to tag the road that leads to the buildings and it looks like this in the picture? Very often this type of road are used for agricultural purposes. Which tags to use? The highway category depends on the purpose and usage of the road. So what is this road used for? I have always used highway=track but there are voices that should be used highway=service. But how to distinguish these roads if they look identical, and are presented on the map in a different way? Ok. 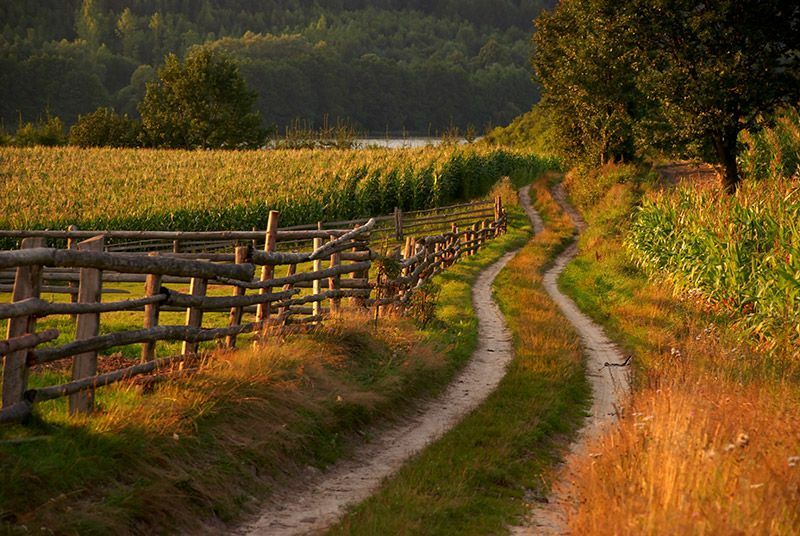 If the road leads to the fields it is highway=track. If it leads to buildings highway=service. And what if you have these two functions? Well if there are several houses along this road, it would be highway=residential. @RafalR: It depends on the specific case but usually the higher class wins.